Today, the demand for eClinical trial technologies is escalating to hasten the processes for clinical studies, regulatory approval, and commercialization of drugs. Simultaneously, biotech and pharmaceutical companies, medical device manufacturers, and contract research organizations (CROs) are hounding an advanced and user-friendly e-Clinical trial management system (eCTMS) that powers the medical research and drug development practices. “Our company provides software and services to support clinical trials,” says Tony Varano, Founder and CEO, DSG. Document Solutions Group (DSG) delivers clinical project management application that provides a centralized database for sharing and examining the entire medical trial study in real-time. DSG’s flagship product, eClinDirect CTMS is a web-based clinical trial management system, designed to capture and share variety of clinical trial data and insights across multiple studies with a complete control. eClinDirect’s online and customized reporting functionality enables easy access to metrics, workflow events, action items, documents collected, protocol deviations, and adverse events. It summarizes the required details to ensure the steady progress of any clinical trial. Moreover, the clinical trial software simplifies the testing process for researchers to detect, treat or prevent diseases. DSG’s CTMS solution equips its clients with a unique security feature that allows them to configure role-based security access control at all levels. eClinDirect determines that CRA monitoring visit reports are available online for all the stakeholders at various levels including read only, read or write, and workflow e-signature authority, at all times. It provides sponsors the ability to selectively make this confidential information available for review by the key stakeholders. As a companion, DSG assists medical enterprises to configure various payment categories and payees and define budget milestones. It allows its customers to conquer their clinical study goals via recoding payments through estimated financial blueprints vs. actual status reports. Through internet connectivity, eClinDirect stores and updates the contact information, status, and credentials of investigators and other stakeholders. The firm’s clinical trial management application validates that CRAs complete the monitoring form questionnaires, and supply comments for questions with negative answers. At the final step, it routs the online forms via electronic workflow by utilizing a proven e-signature design. 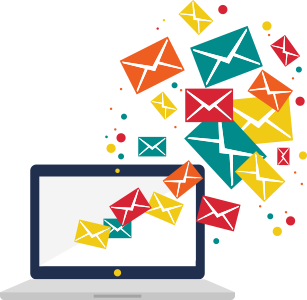 Furthermore, the eClinDirect generates e-mail notifications and synchronizes all the actions in an audit trial. DSG’s ability to provide its clients with the state-of-the-art intuitive and customizable clinical trial solutions at effective cost rates stands as its key differentiating factor. DSG seamlessly integrates CTMS, Electronics Data Capture (EDS) system—eCaseLink, Interactive Web Response Service (IWRS), and drug safety in to a single system offering an ‘all-in-one’ clinical trial architecture. For instance, DSG helped a leading developer and manufacturer of resorbable biomaterials by providing a suite of EDC and CTMS solutions for data capture, device tracking, and accountability, and to improve clinical trial management processes. The integrated set of technology solutions enabled its customer to lower clinical trial costs and manage inventory through a single source provider. DSG focuses on benefitting the pharmaceutical and medical research enterprises through the complete line of trial management solutions to increase efficiency and productivity for successful completion of new studies. The firm’s second to none clinical trial team supports its clients to achieve best clinical study results within the predefined time frame. “Together with a team of focused professionals, we have built a company that is entrepreneurial in spirit and delivers the highest levels of service to our customers,” concludes Varano.